How to automate the invoice tracking process with workflow software? Whether your company provides services or manufactures goods, it still needs to communicate with other companies. This is two-way communication – you sell something and you buy something. In today’s topic, let’s leave aside the process of selling your goods and services to the customers and focus on the purchases by your company. And, as always, I’m going to review the invoice approval workflow using a real-life example. The Director of the “Last Minute Resort” private hospital in Denver, Colorado has decided to improve the interiors of the halls with bookcases. The Director’s name is Roy Eastwood and he spends most of his time at work. After leaving the hospital late in the evening, he rides home on his bike, pours a couple of shots of “Jack Daniel’s” and reads his favorite novels. Why am I telling you about his life? Just to let you know – Roy had two choices for improving interiors – bookcases and wine racks. But the last choice isn’t too good for the hospital. So, he has chosen bookcases. “Last Minute Resort” is a large enough hospital to have its own departmental hierarchy – including a financial department, supplies department, IT department, etc. It is also has enough money to hire the best professionals – doctors, nurses, bookkeepers and those IT guys. And, thank God, Rob Smeloff – the head of the IT department has decided to use Comindware Tracker for internal hospital process automation – for storing patient’s medical histories, for hiring new employees, for tracking IT support tickets and (that’s the key point of today’s article) – for invoice approval workflows. Fortunately, Comindware Tracker has enough functionality to deal with such heterogeneous processes. But Rob has chosen Comindware Tracker not only because of its functionality, but also because it has pre-configured, one-click setup solutions for different departments – like “Finance and Administration”, “Human Resources”, “IT Help Desk”, “Software Development”, etc. So he just clicked the “One-click solution setup” button and Comindware Tracker created the “Finance and Administration” workspace with well-designed applications, including the application for invoice tracking. After that, she attaches the scanned invoice to the invoice approval workflow and sends the invoice for approval by clicking the “Next Step – Submit Invoice for Approval” button. Adam receives notification with his email client and carefully checks the invoice. If some clarification is needed he can just add his comment on the discussion tab and send the invoice back to Vicky (of course, Vicky also will receive notifications about that). If the invoice sum is less than $5000, Adam can simply approve it and send it back to Vicky for completing the payment. But in our case, bookcases are bought for $10000 and Adam cannot approve such payments by himself – Comindware Tracker won’t allow it, because of preconfigured business-rules. So he sends the invoice to Fox Murray, the CFO of the hospital. Fox sees that he has a new task assigned to him via the “My Active Tasks” list in Comindware Tracker and finally approves it, returning it to Vicky (of course – the system do this automatically – all he needs to do is to click the “Next Step – Approve” button) to make the payment. Finally, Vicky completes the payment and Roy receives the bookcases. Everyone is happy! all people, involved in the invoice approval workflow can use the object’ form to collaborate and exchange information, ask questions, give clarifications, etc. Other people will be notified about such comments instantly. 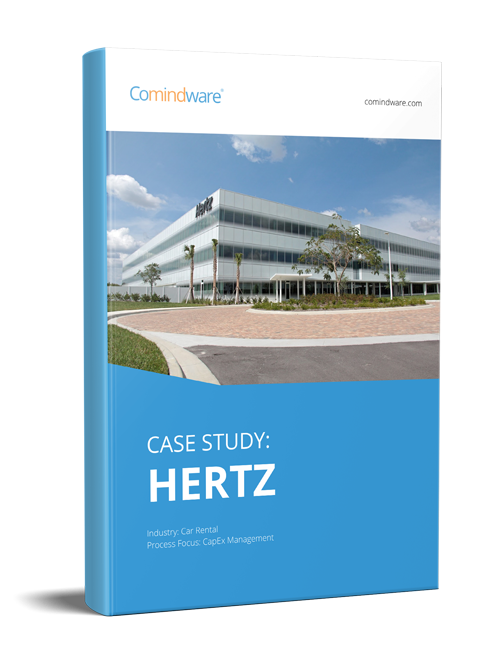 So, whether you run a hospital, like in the example we’ve taken, or any other organization, I think that Comindware Tracker can be the perfect solution for managing your invoice approval workflow Also don’t forget – you can automate almost any process within your company by using our One-click Solutions and Comindware Workflow Editor. You and your colleagues will enjoy using Comindware Tracker’s intuitive and convenient interface. So why not to start right now by registering on our site?